Like most kids, my kids love watching movies. When I showed them we were going to watch Open Season: Scared Silly, they were so excited. My 13 year old was even happy to watch it with us, so that says something there. I remember watching the first one that came out, so I thought it was pretty cool that there was another movie out. Open Season: Scared Silly officially is out today (March, 8th) so you can go and buy it now at stores. I love that you can buy it and get it on Blu-ray, DVD and Digital HD. This way you can watch it in all forms. Boog and Elliot are back in an all-new fun-tastic adventure! When Elliot tells a campfire story of a monster in the woods, Boog – who has never been the bravest of bears – becomes very scared. 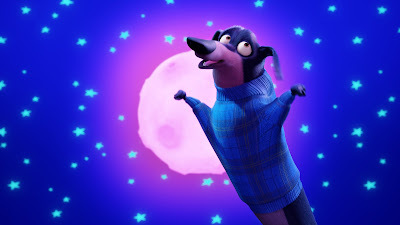 His best friend Elliot comes up with a crazy plan to scare the fear out of Boog! With the help of Mr. Weenie, McSquizzy and the rest of their forest friends, they embark on a memorable journey where the power of friendship helps Boog overcome his fears with lots of laughs and some surprises along the way! I recommend you head over to your favorite store and buy it today, as i’m pretty sure everyone in the family will love it. In addition to the movie coming out Sony Pictures is also involved in making our forests safe. 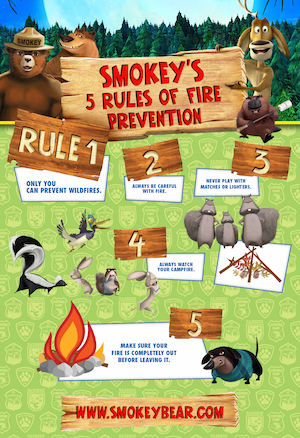 Sony Pictures Home Entertainment (SPHE) and Sony Pictures Animation have joined forces with the Ad Council, the U.S. Forest Service, the National Association of State Foresters, the National Forest Foundation (NFF) and the Boys & Girls Clubs of America (BGCA) to help raise awareness for Smokey Bear’s national wildfire prevention campaign, using #SmokeyBearHug. 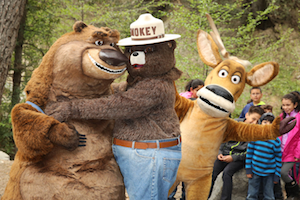 OPEN SEASON: SCARED SILLY stars Boog & Elliot received a hug from Smokey Bear this weekend for promoting campfire safety, kicking off a nation-wide program teaching youth from the Boys and Girls Club of America how to safely build, manage and put out a campfire. 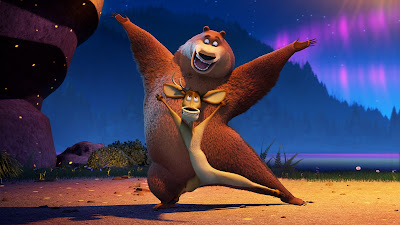 Loved Open Season, I am sure we will love this one also. Great entertainment for kids and adults. Thank you, I had not heard of this movie! Never heard of it. I'm guessing the grand children have seen it. It sounds cute. Great to see a huge corporation putting some of their profits to good use. I love this movie. Will have to get over to Target and pick it up. Seems like a great Sunday afternoon movie for the family. My girls love cartoons. I bet they would laugh themselves silly (see what I did there) watching this movie. 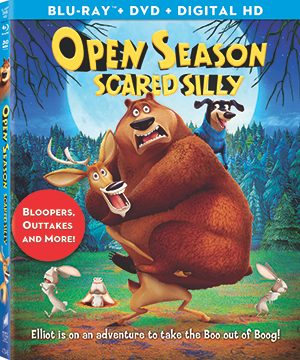 This movie looks funny and I'm sure kiddos will love to see Open Season. Thanks for sharing. I loved the first movie, I bet this one is just as good. My boys would love it I am sure.